A pleasant place with spacious and comfortable appearing rooms. 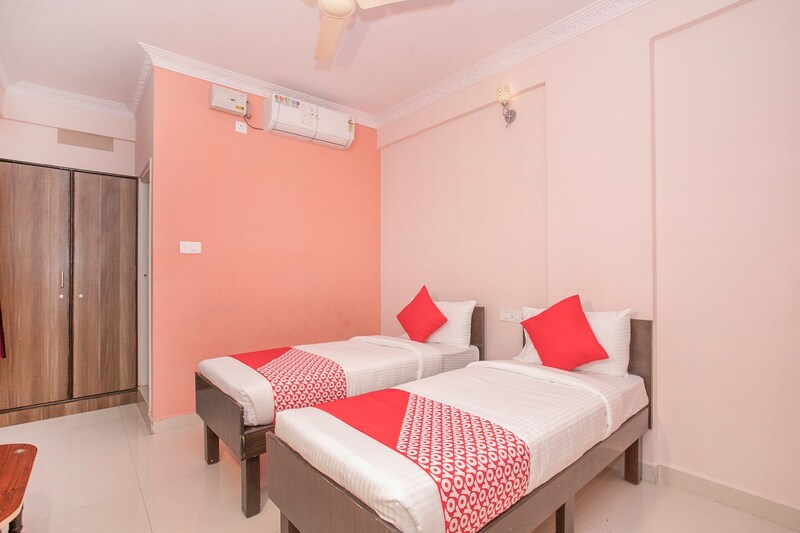 With a colorful external architecture, Passport Office Koramangala is a charming hotel that has a warm and inviting ambience. The bedrooms at the hotel have light pastel colored walls and dark wood furnishings which lend the rooms a cheerful and cozy ambience. The hotel has an in-house restaurant, a kitchen and a dining area available for the guests to use whenever they want. The hotel provides its guests with free Wi-Fi and power backup so that they can stay in contact with the rest of the world. Other amenities offered by the hotel are CCTV cameras and a card payment option that encourages guests to go cashless.